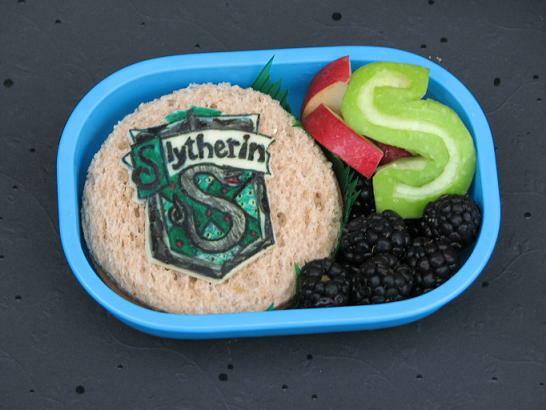 Slytherin logo is food color on cheese and sits on a soy ham sandwich. On the side are blackberries, red apple, and green apple S.
Wow! Your apples are always amazing! What a great apple 'S' and the Slytherin' logo looks good too!